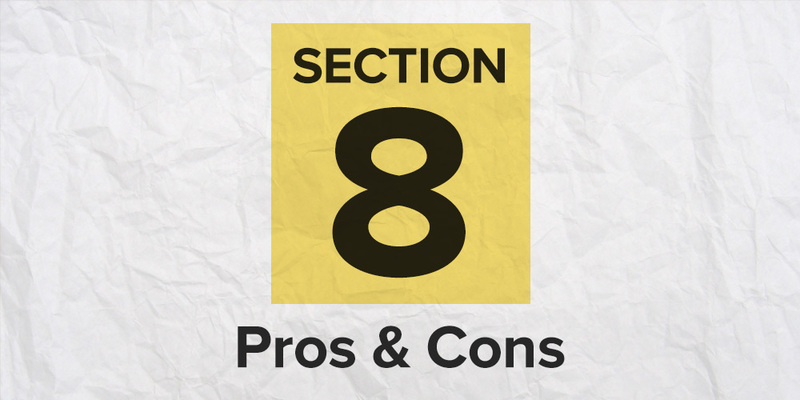 Should I Rent to Section 8 Tenants? A Guide to the Housing Choice Voucher Program. The term “Section 8 tenants” refers to renters who qualify for the government’s Housing Choice Voucher Program. So how do people qualify, and what exactly is this program? Renters who qualify must have an extremely low-income, and if they do, the program helps them afford local housing by paying for 33%-75% of the rent. Some people in this program are elderly, some are disabled, and some simply have little or no income. Landlords are divided on whether they should, or must rent to Section 8 tenants. Landlords are divided on whether they should, or must rent to Section 8 tenants, and for good reason. The laws vary state to state, and even county to county. The Fair Housing Act (FHA), a federal law, doesn’t prohibit landlords from discriminating based on Section 8. However, some states, counties and municipalities do, often by prohibiting discrimination based on “source of income” or “public assistance status” – considering them a “protected class”. Here’s an overview of the pros and cons. “Guaranteed Rent” – Two words that are music to a landlord’s ears. It almost sounds too good to be true. But, under the Section 8 program, you are guaranteed at least a portion of the rent to be paid to you by the government – the U.S. Department of Housing and Urban Development (HUD), to be exact. As with any government agency, red tape is involved, and Section 8 is no different. First, you must fill out paperwork, and then your local Public Housing Authority, which operates under the Housing Choice Voucher Program, must approve your rental property. Then, your property must undergo an inspection, and if approved, it must continue this type of inspection annually. To pass, your property needs to meet acceptable health and safety codes. And whether your house is approved could depend on how stringent the inspector is in your area (meaning – you should expect to repair minor issues). If you are approved, the Housing Authority then reviews your lease and often restricts how much you can charge for rent. In other words, you can’t necessarily charge what you like. You can’t charge whatever you want. You generally can only charge what other properties in your area charge. So your property will be subject to a sort of appraisal process to determine rent. Note that sometimes, depending on the area your property is in, you might receive more rent through HUD than you would by going through the open marketplace (but I wouldn’t count on it). HUD then agrees to pay a certain percentage (this varies by case) of the rent. Your tenant pays the remainder, which usually amounts to 30 percent of their gross income. Generally, a tenant only pays about 30% of the rent amount. Many Section 8 tenants, after being approved for the program and after finding a place to rent, tend to stay put for a while. Moving is allowed, but Section 8 tenants need to notify the Housing Authority, give you proper notice, and find another place. In other words, it’s a hassle. Plus, when Section 8 tenants sign a lease, it’s generally for at least one year. It usually takes a long time to go through the Section 8 process. By the time you fill out the paperwork, get an inspector to come out, make necessary repairs if required, get the inspector to come out again to check your repairs, get a tenant in, and then receive rent, you might have been able to rent the place to someone else sooner. Meanwhile, you’re receiving no income. 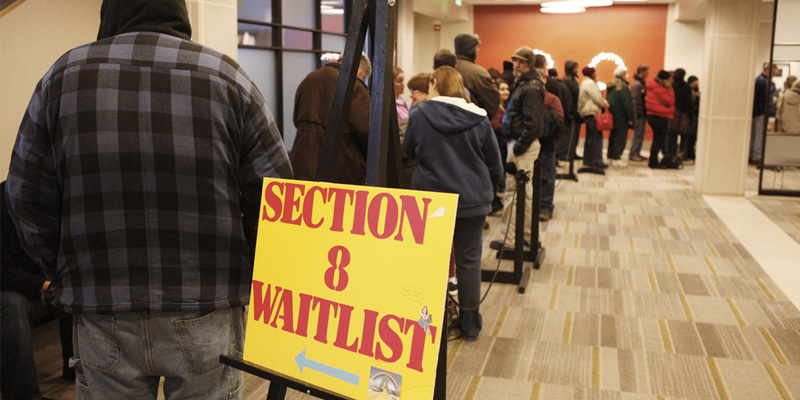 The vacancy caused by delays due to red tape usually outweighs any benefit of the program. Section 8 tenants have a bad reputation. And just like any stereotype, there could be some truth to it, but every case is different. People complain that Section 8 tenants are masters at manipulating the system, and many landlords are left holding the bag. They moved extra people in despite that being against the rules. But just as there are horror stories with Section 8 tenants, there are good experiences too. Some people, whether they are temporarily down on their luck, are disabled, or live on a fixed income, might not be able to afford housing without some help, but they could make wonderful tenants. The key is for you to run a background check and credit report, and to call prior landlords. Do your due diligence before accepting any tenant. Some municipalities (I’m looking at you Oregon) require landlords to accept Section 8 tenants, meaning that whether you want to deal with a government agency or not, you have to, even though this should be the landlord’s decision. Even California and the city of Chicago protect people in the program, however, many states like Colorado allow a landlord to “opt-in”, rather than being required to participate. Note that you don’t have to accept an applicant just because they have a Section 8 voucher. In jurisdictions that require you to take Section 8 tenants, you are encouraged to screen them as you would anyone else. 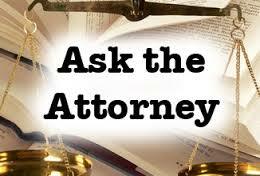 You need to contact your local or state fair housing agency to determine what the law is in your jurisdiction. Q: I want to invest in a rental property. Is there a formula I can use to determine the value of a building based on the rent it takes in? A: One useful calculation to use is the capitalization (or “cap”) rate, which is the ratio of net rental income to the purchase price of the property, says Brooklyn Law School professor David Reiss. Start with your gross rental income, which is simply the total of one year’s worth of rents for all of the units combined. Subtract 5% or so to account for occasional vacancies throughout the year. It’s safest to use existing rents, but you can conservatively increase the amounts if you are planning to improve the units and raise rents. Then add up the yearly operating expenses — property taxes, insurance, utilities, plus at least 5% of gross income for a maintenance/repair fund — and subtract that from the annual income. To get your cap rate, divide that number (the net operating income) by the purchase rate. Let’s say you’re buying a five-family house and anticipate gross annual income of $100,000. If you calculate your total annual operating expenses at $30,000, you end up with $70,000 in net operating income. For a property that cost, let’s say, $1 million, that equates to a 7% cap rate. But is 7% a worthwhile return on your investment for the work and risk of being a property owner and a landlord? “That depends on the building,” says Reiss. “For a brand new, fully rented, high-quality building in a prime neighborhood, a reliable, low-risk 4% to 10% return might be reasonable. “But if you’re talking about a rundown building, in an borderline neighborhood, with a several vacant units that you’re planning to fill after you undertake major improvements, you might reasonably hold out for a 20% cap rate,” he explains, because you’ll have renovation costs on the expense side, perhaps a higher vacancy rate while you fix it up — and you’re taking a bigger risk with your money. Also, the cap rate assumes a cash purchase. When you take a mortgage to buy an investment property, lenders will likely demand a down payment of 25% or more, says Reiss. So in that case, he suggests also calculating your return on upfront costs. In our example, if you invest $300,000 in upfront costs (down payment plus other initial expenses like closing costs and renovations) and expect to earn $20,000 a year (after $50,000 annual mortgage payments), that’s just under a 7% annual return on your money. Again, you need to consider the relative risk of the particular investment property to determine whether that payback rate is high enough. Look at several properties to get a better feel for how the risks and rewards compare. Neither analysis considers the other big benefit of an investment property: appreciation. You’re building equity in a building that could potentially grow in value over time. But it’s better not to count on equity growth in your analysis, says Reiss, because it’s by no means guaranteed. It depends in part on the quality of the property as well as on a host of unpredictable macroeconomic and neighborhood trends, he notes. Moreover, it will likely require holding the property for 10 or more years, and both the cost of selling and capital gains taxes will slice into your equity growth. My job requires me to stay up-to-date on news about landlords and property managers. 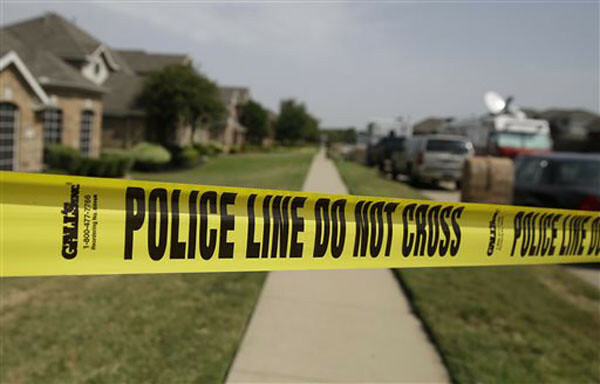 Almost every day there is a report involving landlord-tenant violence or crime. Despite this, I’ve seen very little discussion of safety for property managers and landlords, who not only host open houses, but also deal with tenant complaints, collect rents, and process evictions–all of which can involve irate and emotional renters. Don’t give out your home address. Instead have rent checks sent to a P.O. box, placed in an on-site drop box, or deposited electronically. Although it can be easy to get someone’s home address these days, if an irate tenant who has just received an eviction notice has to spend a couple of hours looking, it might give him or her a chance to cool off. Consistently follow a screening process. When selecting tenants review applications for consistency and consider checking criminal records. Require references and call present and previous landlords. Use a reverse look-up service as an applicant may give you a phone number for someone who is pretending to be an ex-landlord. Also, check identification carefully, as some applicants may pretend to be someone they’re not. Program emergency contact numbers on speed dial on your phone. If you need emergency assistance, the ability to press a single button on your list of “favorites” will save you time and prevent you from making dialing errors, which can happen if you’re in a panic. Know who you’re showing rental property to. Before you show your rental home have a formal meeting in a public place or your business office with the potential renter. Have him or her show at least two forms of ID and fill out a contact information form or rental agreement. Criminals tend to look for easy victims, and if you make the process more formal and require them to work a little, they may look elsewhere for trouble. If you have outgrown your current residence or want to move for other reasons, you have a few choices to make, such as selling or renting out your home. If market conditions are favorable, you could sell the property, cashing in your equity and making a profit. If getting your equity out of the property isn’t a must, you may also consider using the house to generate income as a rental property. This is the first of two articles about converting a principal residence to a residential income property. 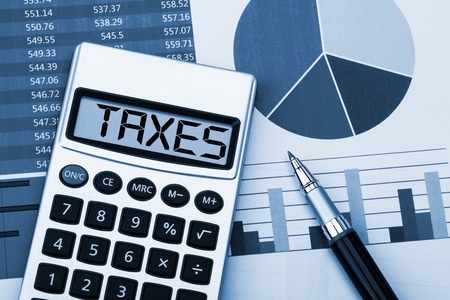 While we will be exploring some of the main considerations for this type of conversion, the tax code is very complex, and it is advisable to work with a certified public accountant who can offer advice based on your personal situation. A primary residence is defined as a living space which you inhabit, but may rent out for up to two weeks per year without paying tax on the income. On the other hand, a rental home is primarily used as an income property, and personal use does not exceed the greater of 14 days or 10 percent of the number of days during the year the home is rented. If you are planning on turning your primary residence into a rental property, there are tax considerations to take into account before making a final decision. Once you make the conversion, taxes on the property will be handled differently. While you will have to report the income from the rental as taxable income, you may also be allowed to deduct expenses for maintaining and fixing the property, as well as take a deduction for depreciation. Should you choose to sell the rental, the basis for calculating taxes on the gain (or loss) for the income property will be different than the calculations for a primary residence. In most situations, under the passive activity loss (PAL) rules, you cannot write off deductions that are more than the total sum of the rent received, unless during that year your “adjusted gross income doesn’t exceed $100,000, you actively participate in running the home-rental business, and your losses from all real estate activities in which you actively participate don’t exceed $25,000,” according to the The Savvy Real Estate Investor website. Note that the limits are for individuals using a single tax filing status, and the threshold will vary depending on your personal filing status. Basically, the PAL rules mainly provide exceptions for those that can offset their deduction losses by gains on other properties. Tax basis for depreciation. There is a formula for computing the tax basis of a personal residence converted to rental property. In general, the adjusted tax basis of a primary residence is the purchase price of the home plus amounts spent for capital improvements that have added value to the property, prolonged its life, or adapted it for a new use. Examples of qualified improvements include additional square footage, fences, or landscape improvements. Note that regular repairs and maintenance are not included in the adjusted tax basis of the home. When a personal residence is converted to rental property, you need to know the basis for depreciation purposes. This is the lower of your adjusted basis in the residence at the date of conversion (purchase price plus qualified capital improvements), or the fair market value of the property at the time of conversion. In general, you must depreciate your residential rental property over a 27.5-year period. Depreciation, however, only applies to the portion of the house used solely for generating income and does not apply to land. So if you purchase a multi-family and wish to rent one unit and live in another, you can only deduct the depreciation expense on the rented portion. The IRS provides depreciation tables to assist you in determining the depreciation expense to recognize each year. But be aware that each of the assets may have a separate life. For example, the structure is based on 27.5 years versus appliances, which would be seven years. Consult with your tax advisor to assist you with this calculation. Selling a converted rental property. When you decide to sell a personal residence, you cannot write off any depreciation expense, as you can with a rental property. In order to calculate the capital gain or loss when you sell a primary residence that had been converted to rental property, you need to know three things: 1) Your adjusted basis in the property (both at the time of conversion and at the time of the sale); 2) The sale price; 3) The fair market value of the property when it was converted to rental property. If the converted property is sold at a gain, the basis for the purposes of calculating the capital gain is your adjusted tax basis on the property at the time of the sale. However, if the sale results in a loss, the basis is the lower of the property’s adjusted tax basis at the time of the conversion or the fair market value of property when it was converted from personal use to a rental. Dexter converted his primary residence to a rental property. He originally paid $320,000 for the property, the assessed value of the land was $40,000 and the home was $280,000. When the home was converted to a rental on Jan. 1 it had a fair market value of $360,000, of which $50,000 was land. Fifteen years later, he sells the property for $500,000. For simplicity, this example excludes the potential impact of carryover losses and depreciation recapture. At a high level, depreciation recapture is essentially paying tax on a portion of the depreciation deductions (discussed earlier). Depreciation recapture tax is assessed at a different rate (25 percent in 2015) and only applies to the lesser of the gain or depreciation already taken. Sound complicated? It is. That’s why it’s important to consult a tax professional. There are tax benefits for selling a primary residence that won’t be available on a long-term rental property. When selling your converted rental property, you lose the home sale exclusion. In 2015, the first $250,000 for single, or $500,000 of gain for married filing jointly is excluded from taxable income for the sale of a primary personal residence you’ve lived in for at least the last two of five years. Real estate can be a great investment, particularly if you’re in a stable or developing neighborhood. 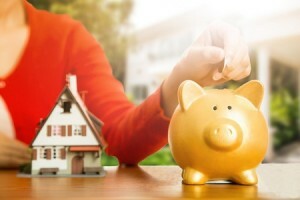 There are many complicated tax guidelines when it comes to converting a primary residence that should be considered before making the final decision. In my next post, we’ll discuss cash flows, tenant rights and other considerations. The Landlord Protection Agency® presents John Reno, Esq., a highly experienced Landlord – Tenant attorney based on Long Island, NY. I am very new to the whole landlord game and recently chose not to renew a lease for a problematic tenant. I informed them well over 30 days in advance that I would not renew their lease and they actually moved out a couple of weeks afterwards. I went through the house after they left and it was absolutely filthy. I documented EVERYTHING with photos in addition to descriptive notes. After I tallied up all the damages (using the LPA settlement guide), I withheld their deposit and sent them a bill for the damages. They got the bill, refused to pay and said they would see me in court. I had originally prorated the rent for the month since they vacated so quickly, but now that I will be taking them to court, can I actually charge them for the full months rent even though on the original security deposit statement I prorated it? I still have not been able to get the house rented due to the amount of damages there were (I’m still working on the house). Please advise! Thank you for your time! A: Yes, charge the whole month. Like I just said to Mary, you have no obligation to prorate. Now it is true, some small claims judge don’t follow the law & prorate anyway, but that’s another story- don’t get me started! Landlords have an incredible number of issues to deal with, not the least of which is considering to whom they will open their doors as tenants. Landlords and their agents are restricted by civil rights laws from privately discriminating against prospective and current tenants. In fact, the seminal U.S. Supreme Court case of Reitman v. Mulkey expressly found that a private right to discriminate was unconstitutional. Yet, what does it mean for a landlord to discriminate? 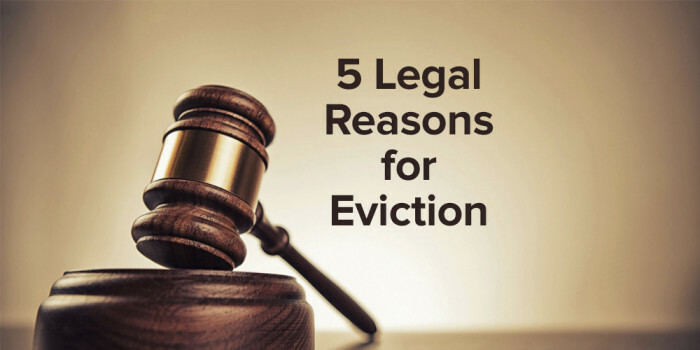 Here are the five ways a landlord can get sued under discrimination laws. Every prospect should have the same availability of a rental with respect to its terms, conditions, and privileges. This means that a landlord can’t include different provisions within their lease agreements, such as rental charges, security deposits, length of the lease, prepaid months and closing requirements, which are varied based upon the applicant’s characteristic profile (i.e., their existence in a protected class). Further, the landlord can’t fail or delay maintenance or repairs based upon the applicant’s characteristic profile. This includes limiting privileges, services and facilities that are associated with the dwelling (e.g., pool is only for Christians). Interestingly, setting different terms, conditions or privileges does not only address a situation where such terms, conditions or privileges are modified to the detriment of the rental prospect based upon their existence in a given protected class, but also for such terms, conditions or privileges which are modified for the benefit of the prospect (e.g., 10% off monthly rentals for Greeks because the landlord is active in the Greek Orthodox Church). The message is to treat every rental prospect equally regardless of their characteristics. Before the negotiation stage in a transaction (i.e., where lease terms are addressed) many brokers and landlords have a practice of screening applicants through stereotyping their characteristics in order to predict whether they would be an ideal tenant. However, rendering a property unavailable for inspection or rental through words or conduct constitutes actionable discrimination regardless if the applicant was ever going to make an actual offer to rent the property. Further, no lease provisions can restrict use to certain protected classes (e.g., pregnant tenants will be evicted), including restrictions on subleasing (e.g., subleasing is only available to non-Section 8 tenants). Still further, a rental listing can’t include words that limit certain priced dwellings to a protected class (e.g., affordable housing–perfect for Mexican immigrants) or render an implied limitation by providing false or inaccurate information regarding the availability of a dwelling based upon a prospect’s existence in a protected class (e.g., stating that we have no one-bedroom apartments in response to a question about the location of the closest mosque). The message is to always provide interested prospects with access to inspect and learn about a rental regardless if their characteristics make you feel that they aren’t a good fit (i.e., you can’t judge a book by its cover). No, this is not about owning a publishing company, but instead, a landlord cannot say or print anything that indicates a preference, limitation, or discrimination based upon a class of persons (e.g., furnished rental with expensive antiques–no children). Printed notices include, but are not limited to applications, flyers, brochures, deeds, signs, banners, posters and billboards. In fact, a landlord’s act of only placing printed ads about their property, which are neutral in terms of discrimination (i.e., not discriminatory), in media channels which exclude particular segments of the housing market, based upon their existence in a demographic class, is discriminatory (i.e., only running ads for a rental in Westhampton Beach in Jewish Weekly to attract those interested in the eruv). Remember, discrimination can be made through words, phrases, photographs, illustrations, symbols, or forms. Interestingly, a landlord expressing their preference for certain classes of persons is in and of itself discriminatory (e.g., don’t bring tenants under 30 years old). The message here is to always watch what you say and more so, remember, in the age of the internet anyone can find your discriminatory advertisement if they are looking for it to bring a suit. Regardless if a landlord’s actions are expressly discriminatory on their face (i.e., targeting an express protected class of persons), by way of setting different terms, conditions or privilege for the rental, expressing false unavailability or by publishing discriminatory content, a landlord can still wind up as a defendant in a discriminatory claim by way of the secondary effects of their actions. The seminal US Supreme Court’s case of Texas Department of Housing and Community Affairs v. The Inclusive Communities Project, Inc. ruled that discriminatory intent is unnecessary to have a cognizable discrimination claim and instead, a victim only has a three-element burden to bring a claim for disparate impact discrimination, including: (1) the action or policy results in statistical discrimination against a protected class; (2) there is a specific policy held or perpetrated by the defendant that is causing the disparate-impact discrimination; and (3) there is an alternative practice or policy that has less disparate impact while still serving the defendant’s legitimate needs. The message here is to never try to study the applicable protected classes in order to connive how you can get away with crafting a rental practice so as to avoid express acts of discrimination while still achieving a bigoted goal. Instead, every rental policy by the landlord must be stripped of any and all prejudice. Remember, business is about money only. Should a prospective tenant or current tenant make a complaint to the Division of Human Rights or otherwise assert a claim of discrimination its equally actionable if the landlord coerces, intimidates, threatens, or interferes with such person in exercising a Fair Housing right. In fact, a real estate broker can bring suit if a landlord discharges them or takes any other adverse action as a result of their refusal to participate in discrimination. Real estate brokers are the gatekeepers of our housing market and they are charged with ensuring equal access regardless of a tenant’s characteristics. Landlords need to stop shooting the messenger (e.g., firing a broker who advises that a landlord can’t discriminate). One day a broker will sue a landlord for such a retaliatory action. Housing anti-discrimination laws exist on the federal, state, county, city, town and village level, with each protecting different characteristics of persons. Landlords must therefore familiarize themselves with each law before acting in the industry. Alternatively, landlords would be best served by selecting their tenants through simply accepting the highest and best offer that meets or exceeds the landlord’s terms without even knowing the demographic characteristics of the prospect. Not having knowledge of a tenant’s characteristics is the best defense to a claim of discrimination.